NASA’s Armstrong Flight Research Center is currently in the process of uploading hundreds of extremely rare films to YouTube. And I’d advise you to stop reading if you want to get any work done today. The center has uploaded roughly 300 of the planned 500 films that it will continue to put up over the coming months. 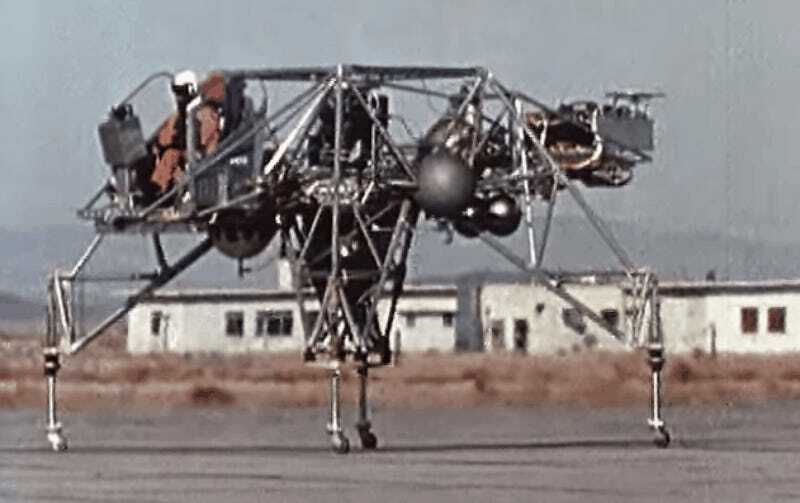 And as you can see from the well-populated YouTube channel, they have everything from 1950s experimental aircraft like the X-3 Stiletto to 1960s Lunar Landing Research Vehicle tests (seen in the GIF above) to videos of the time that they intentionally crashed a Boeing 720 in 1984. Seriously. There are tons of videos on the channel, and like I said, if you want to get any work done I wouldn’t recommend clicking through to watch. They’re simply too cool. But if you insist, here are a few that are especially fun. What’s your favorite? Like I said, it’s dangerous to start watching because there are way too many to choose from. But you chose to get this far, didn’t you? Update 11:52am: It has been brought to my attention that Motherboard was the first to blog about these videos, not The Verge. So I guess go to Motherboard and give them some clicks.